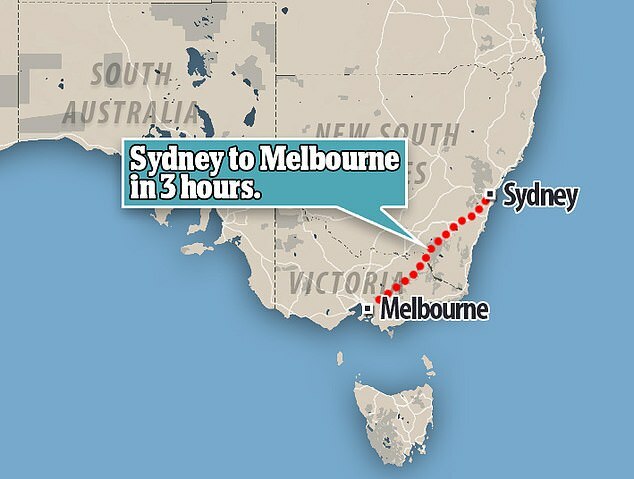 Calls are growing a high-speed bullet train between Melbourne and Sydney, which at 350km/h would cut travel time to only three hours. That would cut eight hours off the current trip between Broadmeadows Station in Melbourne and Central Station in Sydney, which now takes about 11 hours. 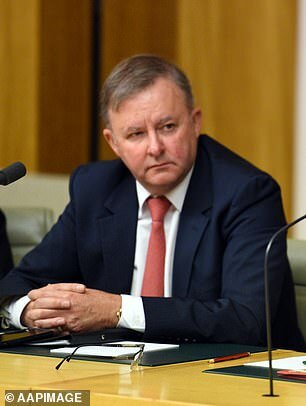 Anthony Albanese, Shadow Minister for Transport, Cities and Regional Development, said the creation of a high-speed rail system would be a ‘game changer’ for Australia. Mr Albanese has long been a proponent of a high-speed rail system in Sydney, but also wants to expand it across the whole country. 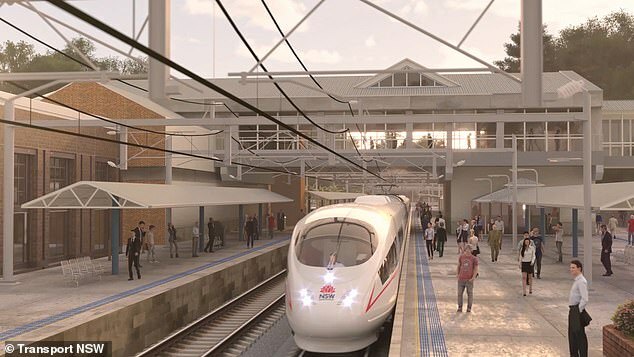 ‘We should bite the bullet and go for a high-speed rail connection not just through Sydney but right through to Melbourne and then north to Sydney,’ Mr Albanese told 2HD Newcastle. Mr Albanese believes that a route between Melbourne and Newcastle should be the starting point for the project. The plans to develop a high-speed rail line within Australia were inspired by China, who has been at the forefront of the technology. 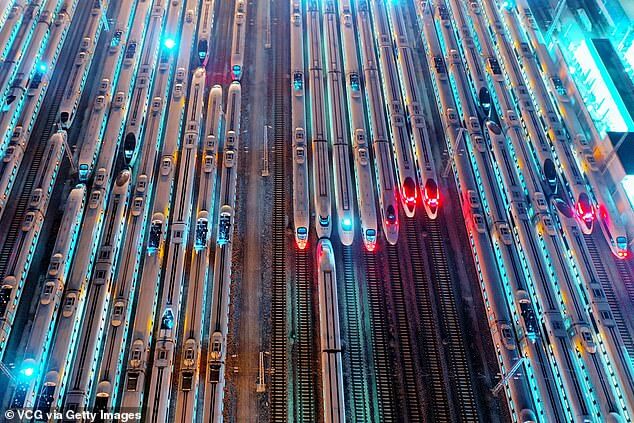 High-speed trains in China travel at speeds from 250 – 350km/h, and run on 29,000km of train lines, the world’s longest high-speed railway network. Billionaire entrepreneur Elon Musk also pitched land-based technology known as the Hyperloop to the Federal Government back in 2012. 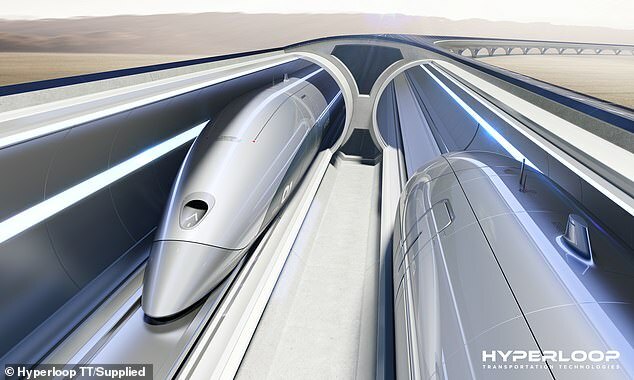 The Hyperloop could reach speeds of 1,200km/h and would allow commuters travelling between Sydney and Melbourne to reach their destination in as little as 40 minutes. Hyperloop is a passenger or freight transportation system that uses reduced-pressure tubes where pressurised capsules ride on air bearings driven by linear induction motors and axial compressors. Federal Cities and Urban Infrastructure Minister Alan Tudge said that Australia needs high-speed rail but it is up to the states to acquire the land. ‘High-speed rails have to be part of the landscape in the future,’ Mr Tudge said. Infrastructure Australia said that preserving land along the corridor would cost $2.8 billion. A bill proposed by Anthony Albanese passed Federal Parliament late last year that would create a High-Speed Rail Authority to advance plans for a high-speed rail line. The High-Speed Rail Authority is tasked with starting work with all of the states to begin buying land for the train line and securing the corridor. ‘High-speed rail is not only a viable and an economic benefit to the nation but it would super-charge regional economic growth,’ Mr Albanese said in a statement. NSW Premier Gladys Berejiklian appointed a rail infrastructure committee in December, 2018 to advise the government on building a fast-rail network across four potential routes that include Canberra, Newcastle and Wollongong. ‘This is a social issue, not just an economic issue,’ Ms Berejiklian told reporters. Premier Berejiklian said work on the high-speed rail network she proposed would start by 2023 with a focus on upgrading existing rail corridors first before building new lines. The plan would not connect Melbourne or Brisbane, unlike the plan proposed by Labor.